The sun, the calm of the sea, the smell of saltpeter, all this reminds us of Mallorca. ers mitigate the suffocating summer heat. But not only worth visiting in summer, the island has more than enough incentives to go at any time of the year. Mallorca has a variety of breathtaking landscapes. 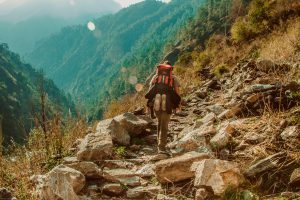 This translates into itineraries that will reveal magnificent natural prints that will surprise the walkers who venture into their paths to experience pure Nature. Most routes are found in the Sierra de Tramontana where we have the highest elevations of the island (around 1,000 m). more modest and more dispersed elevations. The coast also offers us the possibility of excursions to find the solitude of the beautiful virgin beaches that the Mallorcan coastline hides. In the same way, making a pilgrimage to the different monasteries of Mallorca is a very interesting possibility of hiking. It should be noted that Mallorca has the first Nordic walking park in Spain, recently opened in the municipality of Alcudia, which offers different itineraries with three levels of difficulty. The special orography of Mallorca has endowed the island with a nature rich in diversity of landscapes and unique ecosystems. That is why around 40 percent of the territory is protected. The natural spaces conserve great diversity of unique ecosystems with endemic species of flora and fauna. 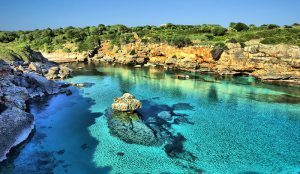 Mallorca has different marine reserves such as the Marine Reserve of the Bay of Palma, which covers the area of ​​Cala Blava, Santa Marta, Maioris and Son Verí; the Migjorn Marine Reserve, which includes the area of ​​Cala Figuera, Colònia de Sant Jordi, Marquès de Palmer and s’Estanyol; the Illa del Toro Marine Reserve; the Marine Reserve of Illes Malgrats; the Marine Reserve of Llevant; and the Marine Reserve of Cala Rajada, state-wide. Castles: Majorca hosts magnificent examples of defensive architecture that are part of the history of this island. Gardens: Visitors who love nature will find impressive gardens and beautiful landscapes on the island. From Viajes Tauro we offer the possibility of living the island of Mallorca with the best expert, qualified and official guides that will make your experience unforgettable. From the end of January, and during the month of February, the thousands of almond trees of Mallorca are in bloom and star in a wonderful show covering the fields of white and pink tones and flooding the air with its characteristic smell. 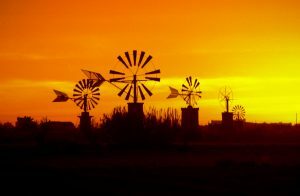 This picture, which has inspired many painters, writers or photographers, can be enjoyed at this time in many parts of the island. It is advisable to make a route on foot or by bicycle, although if you opt for the car or public transport, it is also possible to stop at certain points and walk the plantations to appreciate all the nuances of flowering, which stimulates all the senses . 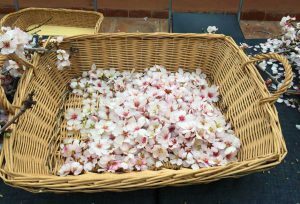 From Viajes Tauro we also organize these special trips to Mallorca just to see the important scenic values ​​of seeing the almond trees bloom. For nature lovers, who need to discover new places through the practice of hiking, bike ride, all-terrain bicycle and sea kayaking. 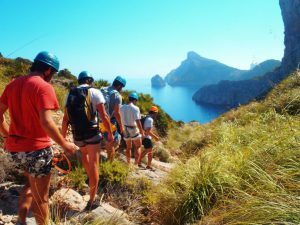 For those who are passionate about getting into Mallorcan culture, we offer craft workshops, environmental activities and excursions with visits. Commitment to the environment, possibility of accessing unique places with previous agreement with the farmers, multidisciplinary itineraries and, always, under the necessary safety guidelines in this type of activities. The years of experience in carrying out activities have given us a degree of maturity that improves the quality of the activities and dealing with the client.